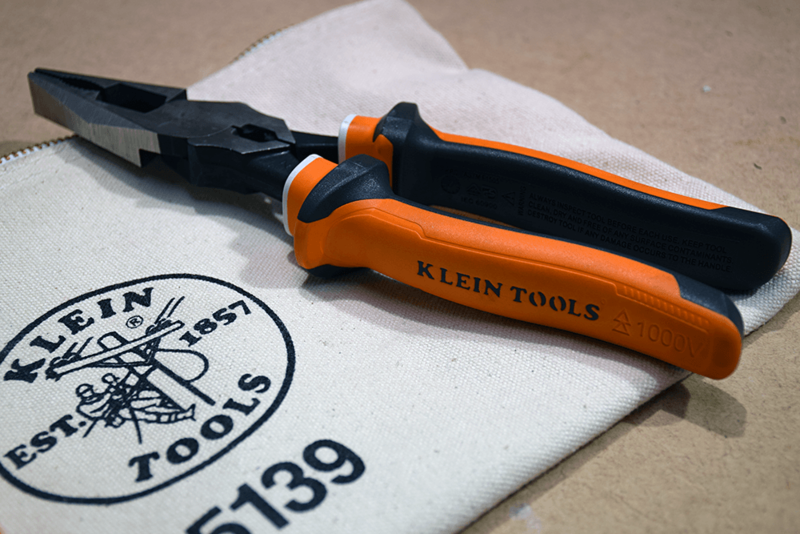 Since 1857, Klein Tools have been dedicated to professional tradesmen worldwide. 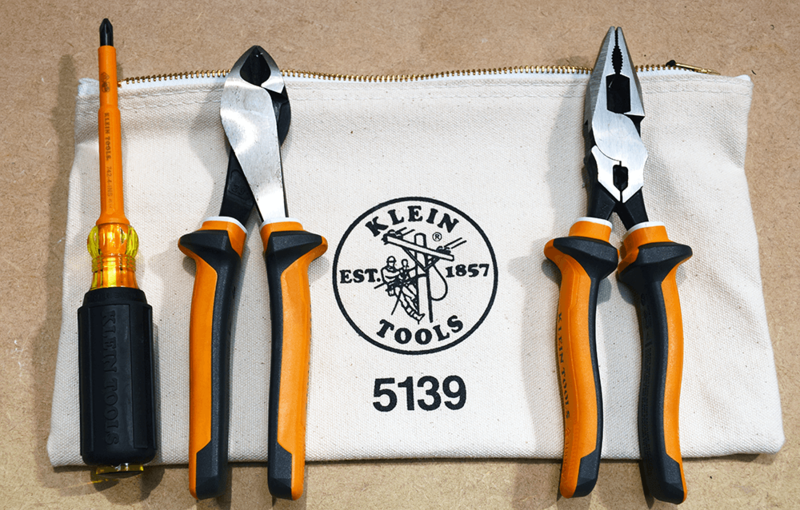 CEF recently approached us to review three of their most popular Klein tools to see how they ranked for domestic installers. We put the electrician tools to the test in real-life, domestic scenarios, with experienced electrical trainers and customers on hand. On first impressions, the tools seemed to be made from excellent quality material, insulated to VDE 1000v standard and have a good strong grip on them. The multicolour design on all three tools features thumb guards for easy grip and handling, as well as storage. The bright orange outer coating is flame and impact resistant too, which adds to the special safety features of these tools. 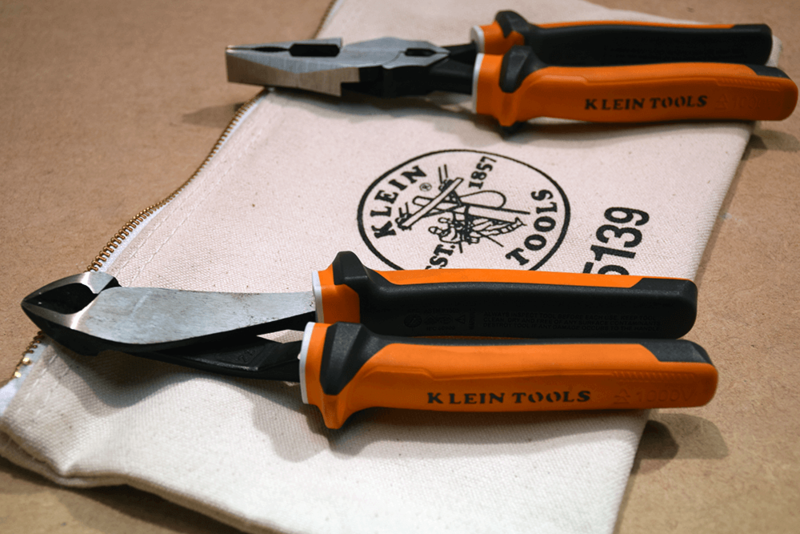 All Klein’s tools are individually tested and comply with current regulation standards. All three products have a dual layer of insulation, a process that starts with a USA steel blend that goes through three stages of heat treatment to condition the steel. Once the tools are assembled and polished, then they are then ready for injection moulded handles. The unique three part moulded insulated layers provide maximum protection against electrical shocks. 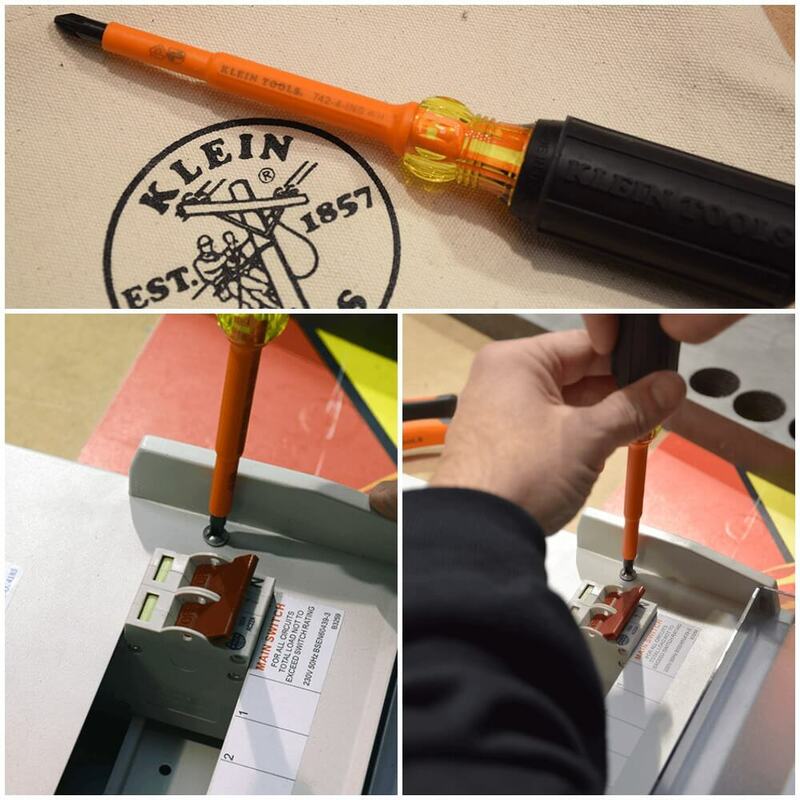 Klein even go the extra step with insuring the safety of their tools, as 100% of their insulated tools are tested to 10,000v in their specialised in-house testing. They all comply with VDE standards and are labelled accordingly. When we tested them out, we soon found out they were not suitable for domestic installations. One of our electrical trainers stated that “they’re too big and awkward to hold sometimes in small spaces” and they would be better suited for a heavy duty linesmen to use. 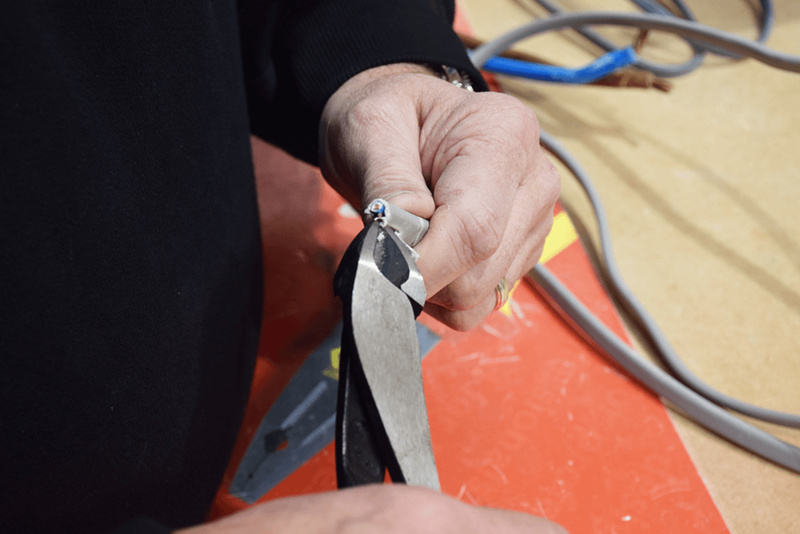 “They need to be smaller… light and swift to use.” Our electrical trainers agreed, as did our students, who preferred to use the lightweight tools to get the job done. 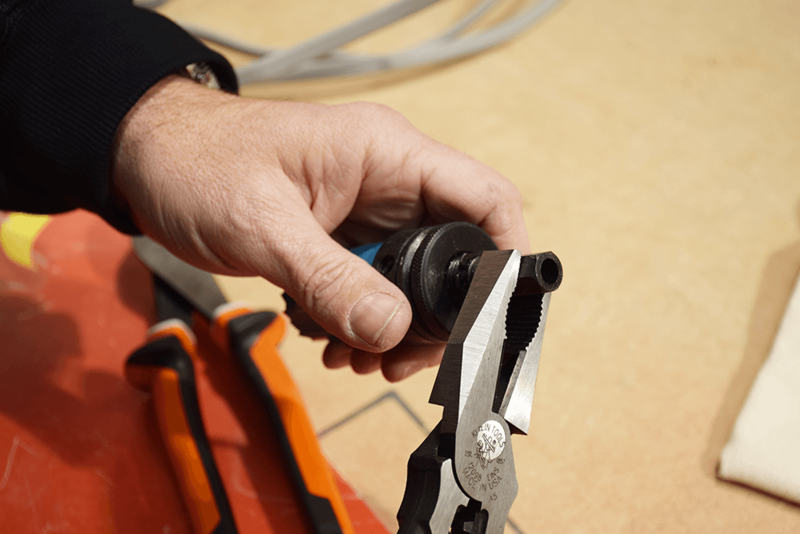 The Insulated Combination Pliers are designed to give superior leverage crimping non-insulated connectors, lugs and terminals. However, there was one significant flaw; the blades did not meet, which is a manufacturing and functionality issue. For a heavy duty job involving larger cables, this wouldn’t be an issue and they would get the job done. Priced at £54.95 (excl. VAT), they sit on the top price end. These Insulated High Leverage Diagonal Cutting Pliers have the same high leverage design as the Combination Pliers. 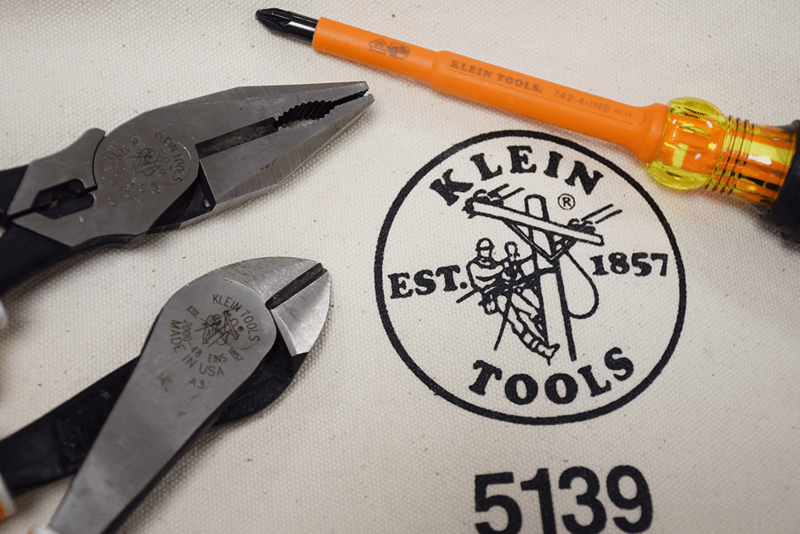 Klein reports that they will cut through SWA, screws, nails and most hardened wire and are the perfect tool for heavy duty work. However, priced at £49.95 (excl. VAT), they too prove more expensive than other brands on the market that offer the same quality. 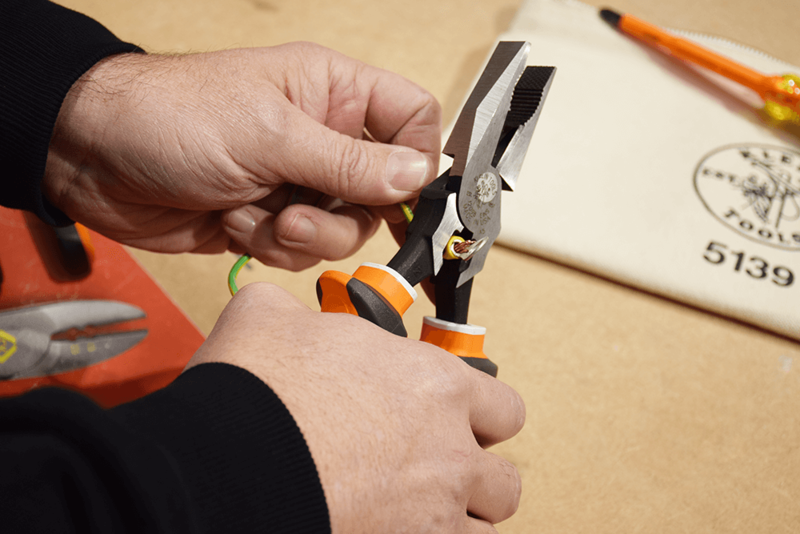 They are sized substantially larger than other branded cable cutters, proving how they are catered more to heavy duty industrial work, than domestic installations. Lastly, the Round Shank Screwdriver with Insulated Phillips Tip is priced at £15.95 (excl. VAT), which again sits on the pricier side for screwdrivers. The performance and handle grip is good, however there are cheaper alternatives on the market that perform just as good, if not better. The Klein name is popular in the United States, with many professionals relying on them to carry out work efficiently. The tools are more expensive than some other reputable brands on the market. It’s important to do your research to find out which tool is right for you and the job, comparing features and prices. 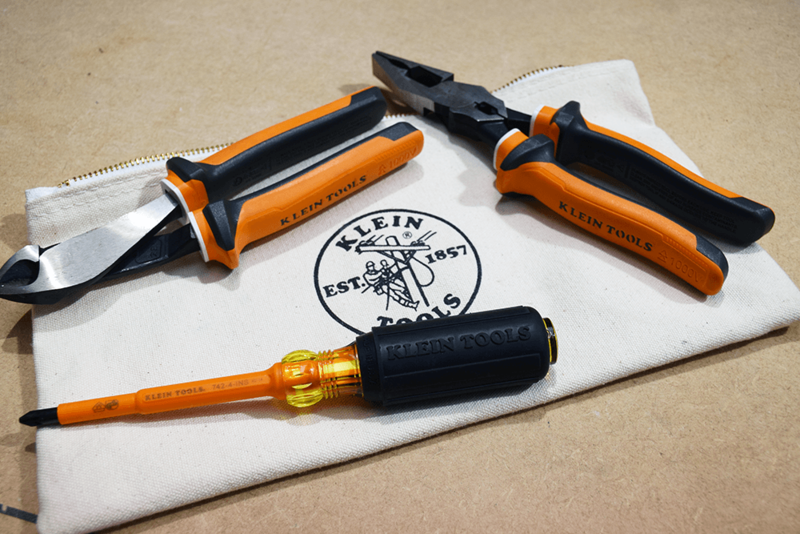 If you are carrying out heavy duty industrial electrical work, then these Klein tools could be the right tools for the job! Solid, robust tools that won’t break easily. Unique three part moulded insulation layers. Insulation tested up to 10,000v. VDE 1000v protected. More expensive than other similar brands. Not suitable for domestic installer, better suited to high voltage scenarios. Want to read more electrician tool reviews? 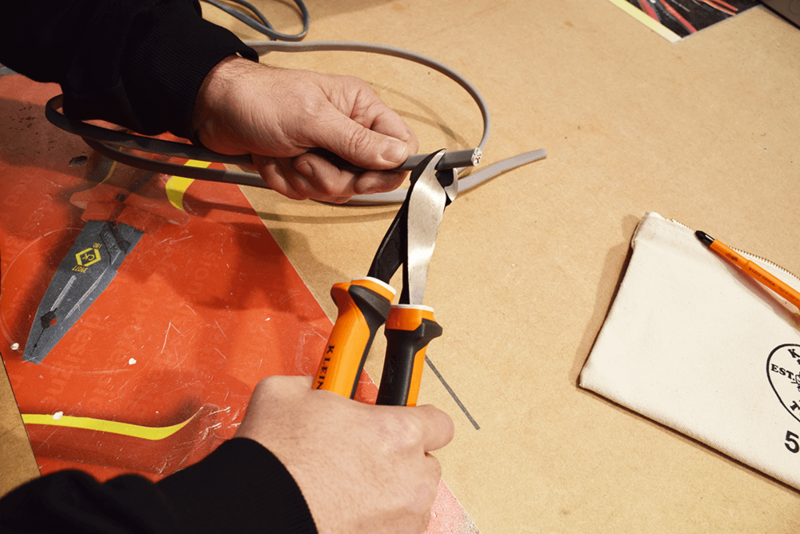 Then find out what we thought of Nimrod’s solution for heat shrinking, with their Heat Gun & Heat Shrink Tubing!